Calling All Livie & Luca Fans! Hey Livie & Luca Fans! The fun starts TOMORROW! 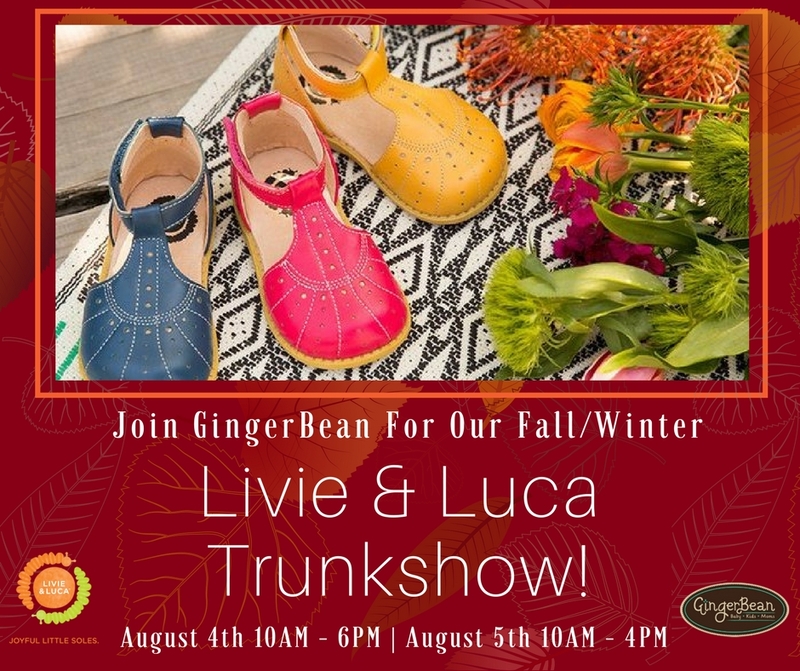 Join GingerBean , August 4th from 10AM - 6PM & 5th from 10AM - 4PM for a Livie & Luca Fall/Winter Trunkshow, just for your little soles! Bring your friends and share the fun, this is an event that doesn't happen often, you don't want to miss it!